Let me begin by sharing my philosophy on health and fitness with you. Well, it's more than just a philosophy, it's a proven methodology. It has three key components. Copyright 2012: Shana Ross Fitness | Houston Personal Trainer | All rights reserved. The bottom line is this: Becoming a healthier, happier, more vibrant and energetic person doesn't start on a treadmill or with a fad diet plan, pill or miracle potion. It begins with a commitment from deep inside of you. It is out of commitment that you will have the motivation to live a healthier lifestyle. You see, motivation comes and goes. But commitment is a completely different ballgame. Commitment drives motivation. Commitment gives you the motivation to continue moving forward -- even on the not-so-great days. You can do two things right now that can make a difference in your life without ever coming to see me or without ever picking up the phone. First -- stop obsessing over the number on your scale (throw it out if you must). Second -- start evaluating your life from the standpoint of your overall health. If you're unhealthy and you know you eat poorly and you can't get moving, then you have to be willing to honestly examine your roadblocks and begin changing the negative behaviors that are holding you back. Only then can we team up and begin transforming you into the person you want and deserve to be. If you don't know where to start, fill out the complimentary consultation form below and let's talk through things together. You're never under any obligation to buy anything. But let's at least talk about how we can get you moving toward the new you. We'll help you know if you're ready by asking you a series of questions designed to get to the heart of your drive and desire. Because let's face it -- if you're not ready, this program can't make you change, and it will end up being just another thing you tried that didn't work. If you are ready, we're here. We'd love to talk with you. Invest in yourself. Build a healthier future. Live life like you mean it. 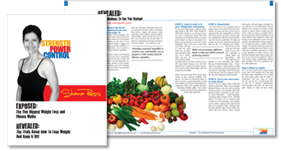 When you subscribe, I'll send you two free reports packed with nutrition tips to help you get started. 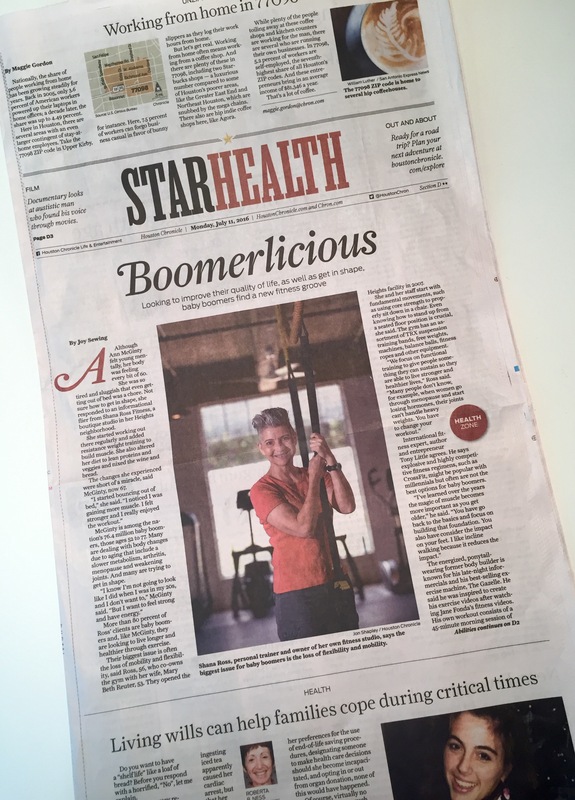 How do you get stronger and more powerful with the help of a fitness trainer in Houston? How do you take control and begin living a more vibrant, energetic life? You may have read how I did it. First, I got some help. And if you're thinking of doing the same, I would love the opportunity to show you how we can help you. After nutrition, resistance training is the next vital element in any successful program. You've probably read that you can "walk the weight off," and If it's been awhile since you've been active, or if you are too heavy for more strenuous work, walking is a great place to start. But, resistance training will complete a walking program. And if your goal is to change the way your body looks, and not just lose weight, then adding resistance training can remold your body into a tighter, smaller package. My expert staff and I will teach you how to combine the activities for the very best results. Women - you will not get bulky by lifting weights. The hormonal make-up for that to happen just isn't there. Here's what will happen -- you will get stronger and your body will become smaller and tighter. You'll build a great base from which to combat osteoporosis and you'll move with more confidence and grace. I have first-hand knowledge of this as a former competitive bodybuilder. I fought for every ounce of muscle. I ate a strict regimen of protein, carbs and fat and supplemented with protein drinks, creatine and other amino acid supplements. Putting on adequate muscle to compete was agonizing. Trust me, you won't bulk up unless you want to. Aerobic fitness, of course, is the part that most people think is the most important. Having a healthy heart is important, and moderate aerobic exercise is a great way to help your heart stay in shape. But if you think that it's cardiovascular exercise that is going to melt the pounds away, think again. It will help with fat loss and it is an important component. But you must combine the big three. In fact, too much cardio, combined with a restrictive low calorie diet can actually be detrimental and leave your body hanging onto its fat stores for dear life. That's the last thing you want to happen. We will never prescribe slow, steady-state cardio workouts that are boring and monotonous. We'll keep you moving with intense intervals, that when combined with a sensible resistance program will get you better results. The first component of any fitness program is food, and that's the one with which so many people struggle. Let's look at it this way. Your body is a furnace. To put out heat, a furnace requires a consistent supply of the right kind of fuel. Your body operates the same way. That's why you must feed your body nutrient dense meals to fuel it and fire up its metabolism. When you consume processed foods, sugar, alcohol -- basically "food junk" that has little to no nutritional value, it's like throwing water on fire. You extinguish your metabolic spark. As a society, we talk incessantly about calories in/calories out. But seldom do we talk about the nutritional value of those calories. That's much different. And that's what our Houston personal trainers will help you understand. We can teach you to eat foods that actually help you lose weight. I call it supportive eating and if you want to find out more about how it works, become a subscriber and I'll send you my free report, "EXPOSED: The Five Biggest Weight Loss and Fitness Myths / REVEALED: The Truth About How to Lose Weight and Keep it Off." I'll also send you a new report that I call The Seven Habits of Highly Healthy Women?. Guys, you can learn some things here too. Unless you're willing to change poor eating habits, you will continue to seek the magic solution. And believe me -- there are plenty of programs out there that promise you big weight loss numbers with no exercise and no change in dietary habits. But those programs don't work long term and they do nothing to improve your health. We want to help you create a healthy, energetic life. It takes work. It's not easy. But the reward is huge. I'm ready. Call me for my consult. 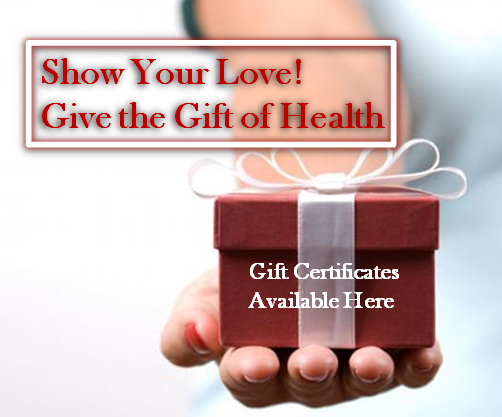 See our Gift Certificate Options! We are looking for an exceptional fitness coach to join our professional coaching team. Apply on the employment page. 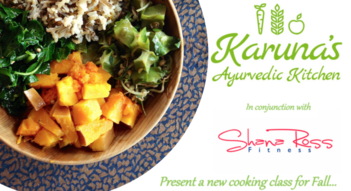 Join Chef Karuna Diedericks in our studio kitchen to learn how to whip up delicious veggies that taste great and are good for you. SPACE IS LIMITED. Reserve your ticket now.